Looking to Learn Martial Arts? Here Are the Top Five Self-Defense Schools in Louisville | Joe Hayden Real Estate Team - Your Real Estate Experts! Whether you're looking to improve your self-discipline, get in shape, or learn to defend yourself against an attacker, martial arts schooling can be a great form of exercise and a good way to make new friends. If you're looking for a new dojo, check out these five self-defense schools in the Louisville-area. Located on Eastpoint Park Boulevard, CORE Combat Sports is a mixed martial arts facility that offers classes in boxing, kickboxing, judo, Brazilian Jiu-Jitsu, and Krav Maga. Owner Rolando Haddad played a large part in introducing Krav Maga training to the Louisville Metro Police Department and the Kentucky State Police. Jiu-Jitsu instructor Helio Soneca began his martial arts career at the age of 8, and became a Brazilian champion at age 9. He has trained multiple world champions and dedicated his life to teaching after developing physical problems that interfered with his ability to compete professionally. If you want a self-defense school with top-notch instructors, CORE is the dojo for you. Named for its chief instructor, 1984 Olympic silver medalist Grandmaster Jung Oh Hwang, Hwang's Martial Arts has four convenient locations in Okolona, Jeffersontown, St. Matthews, and the East End. At Hwang's Martial Arts, instructors aim to teach not only the art of self-defense, but also the philosophy of it. Hwang's Martial Arts places a strong focus on community involvement, and to date, has donated over $750,000 to various community projects in Kentucky. In April 2013 alone, the dojo raised $48,000 for Kosair Children's Hospital. Hwang's Martial Arts focuses mainly on instructing children. The dojo is very active on social media, so be sure to check out their Facebook and YouTube pages for great content. A judo academy in Hikes Point that has been operating since 2006, Mu Do Ryu teaches pre-World War Two judo for all ages, and has a free self-defense class on the first Sunday of every month. Mu Do Ryu is also sympathetic to those who are training at other dojos but who are seeking to leave their contract. If you are stuck in a contract with a dojo that you wish to leave, Mu Do Ryu will accept you as a full member for only $10 per month until your contract expires. The founder and chief instructor, Sensei Matt Loomis, holds a first degree black belt in judo and a third degree black belt in Bushido. Mu Do Ryu is a member of the Seven Winds Flying Fist Group, overseen by Grand Master Henry Cook. Situated on South 3rd Street just north of Beechmont, Goshinkan Academy holds Aiki-bujutso and karate classes for adults and children. 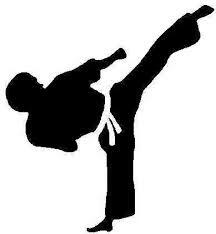 All classes are taught by Black Belt and Master Black Belt practitioners, and visitors are permitted. Goshinkan Academy requires all potential members to undergo an admission interview to ensure that the student and dojo have the same expectations regarding instruction. Goshinkan Academy holds firmly to the traditional values underscoring the Japanese martial arts, and members will be expected to pursue these values as well. If you're looking to get back to the very roots of Japanese martial arts, Goshinkan is a prime choice. Founded in 1985 by Jean Louis Arseneau, the Louisville Martial Arts Academy offers members top-notch lessons in Kempo, Jiu-Jitsu, kickboxing, and more. Boasting two dojos, the academy is one of the largest martial arts instruction facilities in Louisville. For parents, the playroom offers a safe space where you can leave your children while you attend your lesson. Head Instructor Allan Manganello began training at the age of 8 in Pennsylvania. He would later go on to train Super Bowl Champion and Philadelphia Eagles kicker David Akers. He has a black belt in Jiu-Jitsu and has competed in numerous national and international tournaments. Louisville Martial Arts Academy is a great dojo for those seeking world-class instruction. Martial arts are a great way to learn self-defense and get in shape. If you're looking for a martial arts school in Louisville, consider these five top-notch facilities.